“Mamma mia, che freddo!” Here in Rome, the forecast is 19C and sun, with 9-10C in the morning. Gorgeous, if you ask me. However, we are in the pre-heating phase, as our condomino heating does not get turned on until November 15. This goes by calendar (unless you have the luxury of autonomous heating), so thank goodness it is not raining yet. Hence, it is weirdly colder inside than outside much of the day, with resulting mamma mias and complaints from various neighbours, and we are wrapping up to stay warm inside and shedding layers for a lunchtime walk in the sun. 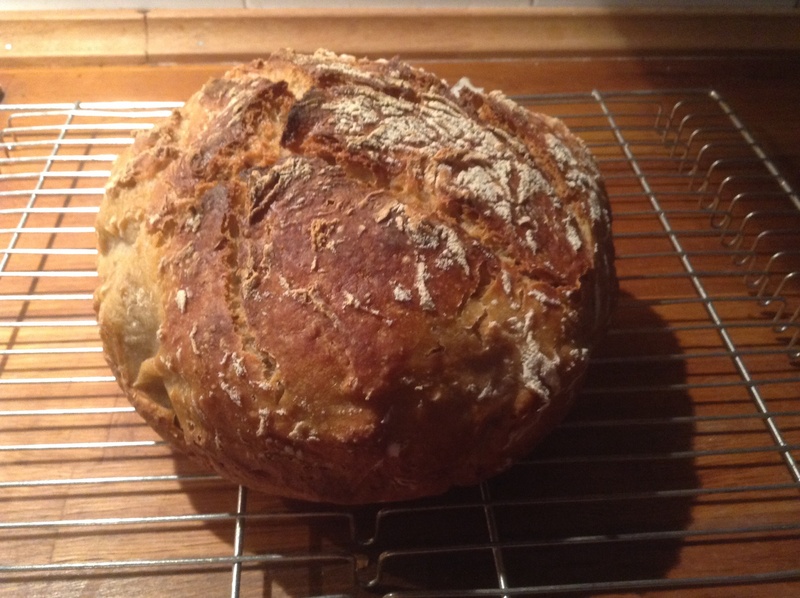 Of course, a nice loaf of fresh bread helps warm up the kitchen too. A few hours before: mix the yoghurt and cracked wheat to soak. Overnight soaking would work too, just leave it in the fridge. Mix the sourdough starter with the water. Add the flours and mix well. Cover with plastic wrap and let rest for 20 minutes. After the initial rest, add the salt. Mix well. Add more flour or water if you think the dough needs it. Cover the bowl and let rise for about a couple hours at room temperature. Fold the dough a few times (just in the bowl, using a spoon or spatula). You will feel the dough becoming more elastic and responsive, and it will increase nicely in size. For baking same day: move the dough to a floured banneton and cover it with plastic (a hotel shower cap works well), and let it rise 3-4 hours at room temperature. (I cheat and line the banneton with baking paper, easier to lift over to the pot.) OR: Park the dough in covered banneton to rise slowly in the fridge until you are ready to bake. When ready to bake: heat your oven to 250C, with a cast iron pot. When it is properly hot (after at least 20 minutes), take the pot out carefully. Lift baking paper with dough into the cast iron pot. (OR: if banneton was not lined, only floured, then invert dough onto a piece of baking paper, and put the dough in the pot.) Slash the dough – I usually snip,it with kitchen scissors. Bake at 250C for thirty minutes with the lid on, then 10-15 minutes more with the lid off, until the bread looks done and the base of the bread sounds hollow if you tap it. About 45 minutes in all, depending on your oven. Cool before slicing. Notes: Normally I would soak the cracked wheat in water, but since I had aging yoghurt in the fridge, I thought I would try that. 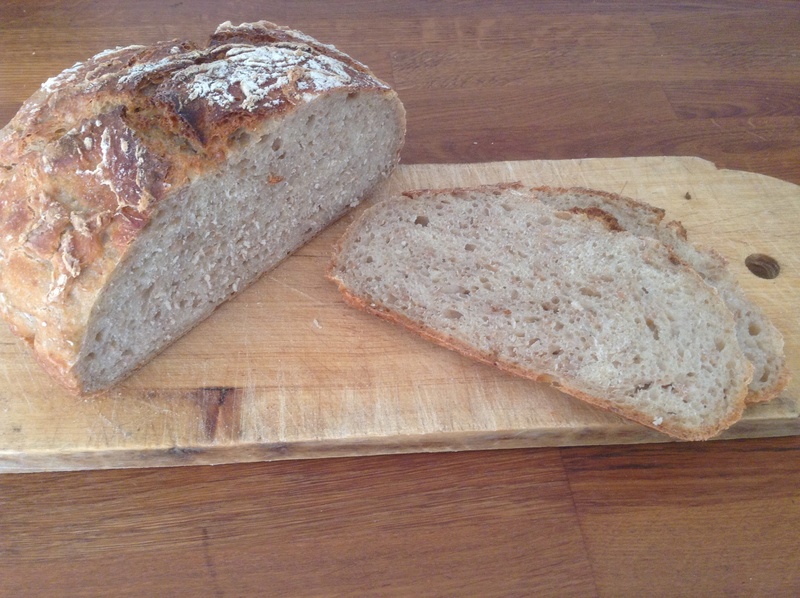 I was not sure if adding the yoghurt would impact the sourdough development, but it seemed to work just fine. The hydration was also a bit of guesswork, I just approximated and hoped for the best. All of these loaves are variations on basic sourdough loaves, but they all taste slightly different, which is nice. A newcomer to Rome just asked what we do in the weekends. Exciting weekend trips of wine tasting, medieval towns and Italian wonders? We looked at each other and said “Sometimes, yes….. Usually we stay home in Rome and do market, coffee, supermarket, more coffee, house cleaning and laundry.” So mundane, I know. But laundry here is an exercise in strategy. Electrity costs more weekdays, and costs less evenings and weekends. However, you cannot do laundry too late, that is banned by condomino rules. So weekends it is. They are forecasting rain this week, so I did extra laundry today. Some laundry is now on lines on our little balcony, some on a rack on the balcony, and half-dry sheets are draped on the coatrack. Once the November rain comes, it takes days to get laundry dry, especially without indoor heating on yet. Still, I know many places have snow already, so we cannot complain! It is great though, to be able to air-dry laundry most of the year. 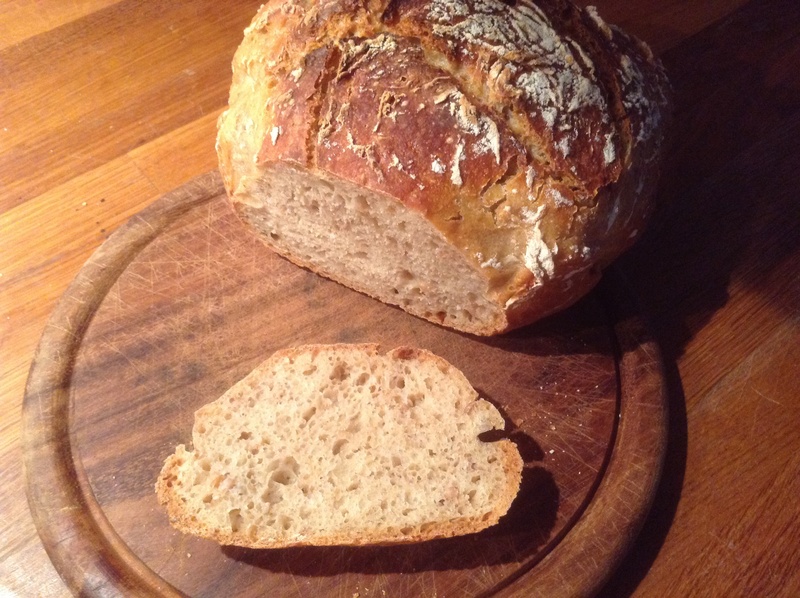 This entry was posted in baking, food and tagged bread, laundry, sourdough, yoghurt on November 2, 2014 by krumkaker. 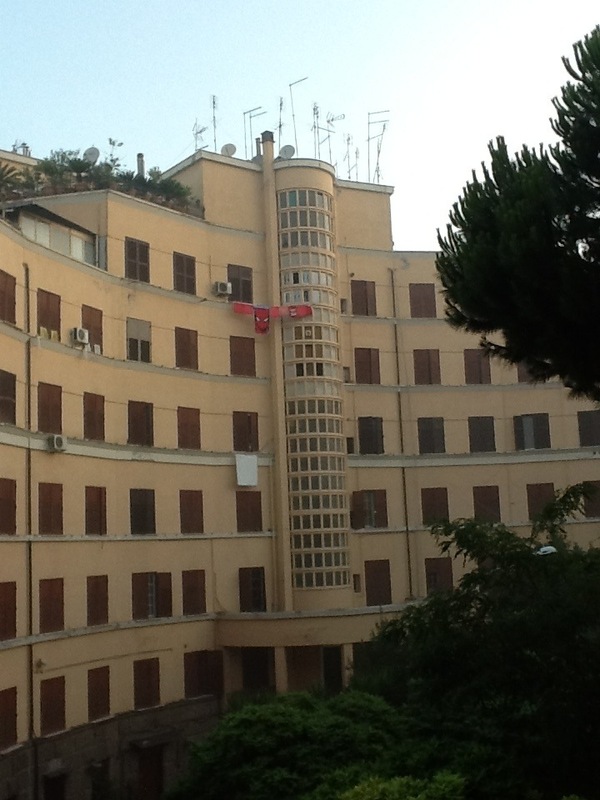 The building is the Albergo Bianco, here in Garbatella, a suburb of Rome. Under the auspices of the Istituto per le Case Popolari (ICP), a national building society dedicated to public low-cost housing, Innocenzo Sabbatini had a series of four “suburban hotels”–Lots 41, 42, 43, and 44 constructed. Initially designed as short-term accommodation for new arrivals waiting for more permanent lodgings, the albergi also included public services like day care, police offices, and health services. The buildings were converted to apartment blocks in the mid 1930s. 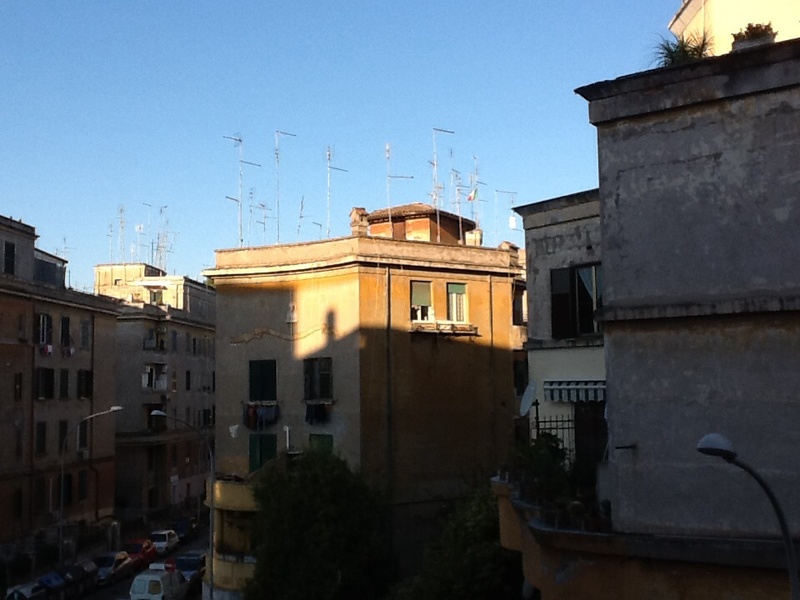 This entry was posted in Rome and tagged Garbatella, laundry, streetlife on July 16, 2013 by krumkaker.